Solomon Islands is a sovereign country consisting of a large number of islands in Oceania lying to the east of Papua New Guinea and north west of Vanuatu and cover a land area of 28,400 square kilometres (11,000 sq mi). 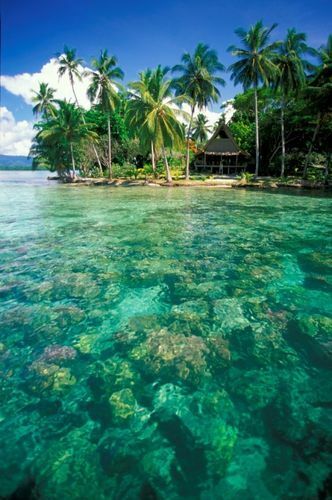 The country's capital, Honiara, is located on the island of Guadalcanal. It is part of, but not to be confused with, the Solomon Islands archipelago, which is a collection of Melanesian islands that includes Solomon Islands and Bougainville Island. The islands have been inhabited for thousands of years. In 1568, the Spanish navigator Álvaro de Mendaña was the first European to visit them, naming them the Islas Salomón.By 1893, the United Kingdom had established a protectorateover what was then known as "the Solomon Islands". During the Second World War, the Solomon Islands campaign (1942–1945) saw fierce fighting between the United States and the Empire of Japan, such as in the Battle of Guadalcanal. Self-government was achieved in 1976 and independence two years later with the formal name of Solomon Islands. Today, Solomon Islands is a constitutional monarchy with the Queen of Solomon Islands, currently Queen Elizabeth II, as itshead of state. Gordon Lilo Darcy is the eleventh and current Prime Minister of the Solomon Islands.